You will find below the horoscope of Anne-Marie Lizin with her interactive chart, an excerpt of her astrological portrait and her planetary dominants. Horoscopes having the same aspect Sun square Neptune (orb 0°25'): Lady Gaga, Paul McCartney, Julien Courbet, Carl Jung, Ellen DeGeneres, Caroline, Princess of Hanover, Edward Norton, Angela Merkel, Hilary Duff, Frédéric Chopin, Marie Antoinette, Kevin Costner... Find all the celebrities having this aspect. Horoscopes having the same aspect Saturn square Midheaven (orb 0°50'): Angelina Jolie, Katy Perry, Emmanuel Macron, Eminem, Sophie Marceau, Lindsay Lohan, Demi Lovato, Ben Affleck, Robert De Niro, Tyra Banks, Ingrid Chauvin, Fergie (singer)... Find all the celebrities having this aspect. Celebrities clicked on in real-time: 577,265,391 times. Loyal, creative, and contemplative character endowed with poetic and artistic gifts. One enjoys the simple pleasures offered by nature and finds in its beauties an inexhaustible source of inspiration. Success can be achieved in any artistic discipline, in law, or in medicine. Should the natal chart concur, this degree indicates sojourns in the countryside or in the mountain for health reasons. Immature and irresponsible character. A sudden separation from the parents during childhood is probably at the root of psychomotor and coordination problems, as well as of difficulties in taking charge of one's life properly. The presence of a devoted partner is necessary. Anne-Marie Lizin (born January 5, 1949 in Huy) is a Belgian politician from the Socialist Party. She was the first female President of the Belgian Senate (2004-2007). In 1971, she graduated in economics at the Universite de Liege. In January 2009 Lizin came under fire for the use of a visa card of the Centre Hospitalier Régional Hutois (CHRH) at a time it was dealing with heavy losses and spendings needed to be cut. Lizin has been an alderman and a member of the city council of Ben Ahin from 1970 to 1976 and has served on the city council of Huy since 1977. Here are some character traits from Anne-Marie Lizin's birth chart. This description is far from being comprehensive but it can shed light on his/her personality, which is still interesting for professional astrologers or astrology lovers. 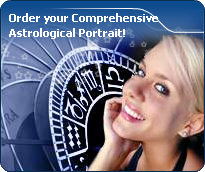 In a matter of minutes, you can get at your email address your astrological portrait (approximately 32 pages), a much more comprehensive report than this portrait of Anne-Marie Lizin. Anne-Marie Lizin, the diurnal South-eastern quadrant, consisting of the 10th, 11th and 12th houses, prevails in your chart: assertion and goals achievement are at the centre of your concerns. You are very keen to implement your dreams and your plans. You achieve your ambitions as soon as possible, whether through an active social life, highly charged friendly relations, or an urge to take actions in order to reap - in the eyes of the world, of course - the rewards of your dynamism. It is likely that spirituality or humanitarian actions are part of your motivations, sometimes at the price of some degree of isolation. Cheers for communication and mobility, Anne-Marie Lizin! The predominance of Air signs in your chart favours and amplifies your taste for relations and for all kinds of short trips, whether real (travels) or symbolic (new ideas, mind speculations). You gain in flexibility and adaptability what you lose in self-assertion or in pragmatism. Like the majority of Earth signs, Anne-Marie Lizin, you are efficient, concrete and not too emotional. What matters to you is what you see: you judge the tree by its fruits. Your ideas keep changing, words disappear, but actions and their consequences are visible and remain. Express your sensitivity, even if it means revealing your vulnerability. Emotions, energy and communication must not be neglected; concrete action is meaningless if it is not justified by your heart, your intellect or your enthusiasm. Your natal chart shows a lack of the Water element, with only 8.89% instead of the average 25%. Whether you are aware of it or not, affective values bring about problems, for you or your close friends. In general, a lack of Water does not necessarily mean that you are unable to love as much as others do. However, you may find it difficult to express the deepness of your heart and of your feelings. In the best cases, you come to terms with it, you adjust, you manage to show more affection or, why not, you pretend to be really affected! In the worst cases, you get into the terrible habit of repressing these essential values and you tend to forget that they are the basis of the richest and strongest bonds between human beings. The Mutable mode is the most emphasized one in your natal chart, Anne-Marie Lizin, which indicates a mobile character that is curious and thirsty for new experiences and evolution. You are lively and flexible, and you like to react quickly to solicitations, but don't confuse mobility with agitation, since this is the danger with this configuration - and with you, stagnation is out of the question. Security doesn't matter as long as you are not bored. You optimize, you change things, you change yourself... all this in a speedy way. Your angular houses, namely, the 1st, 4th, 7th and 10th houses, are very emphasized in your chart, Anne-Marie Lizin: according to the Tradition, they are the strongest and most dynamic houses. Should the rest of your chart concur, angular houses suggest that you are an enterprising, energetic and assertive woman. Indeed, angular houses are said to generate impulsions and to give a powerful and domineering personality. The three most important planets in your chart are Pluto, Mars and Uranus. In your natal chart, the three most important signs - according to criteria mentioned above - are in decreasing order of strength Capricorn, Aquarius and Sagittarius. In general, these signs are important because your Ascendant or your Sun is located there. But this is not always the case: there may be a cluster of planets, or a planet may be near an angle other than the Midheaven or Ascendant. It may also be because two or three planets are considered to be very active because they form numerous aspects from these signs. The 12th, 7th and 1st houses are the most prominent ones in your birth chart. From the analysis of the most tenanted houses, the astrologer identifies your most significant fields or spheres of activity. They deal with what you are experiencing - or what you will be brought to experience one day - or they deal with your inner motivations. After this paragraph about dominant planets, of Anne-Marie Lizin, here are the character traits that you must read more carefully than the previous texts since they are very specific: the texts about dominant planets only give background information about the personality and remain quite general: they emphasize or, on the contrary, mitigate different particularities or facets of a personality. A human being is a complex whole and only bodies of texts can attempt to successfully figure out all the finer points. Your sensitivity is all on edge, Anne-Marie Lizin, and your emotions so deep, your imagination, so lively, that you are often found in the sweet realm of dreams. You create your own fantastical world with entangled fragments of current reality, romantic souvenirs and hidden hopes. Your receptiveness is so intense that it may border on mediumship or, more disturbing and rare, you may have hallucinations. Your character fluctuates according to the stimulation of the moment but in general, you are a nice person, full of gentleness and romanticism, always ready to understand and to dedicate yourself. You have real healing powers, would it be only through your ability to instinctively understand other people's sufferings. Your affective structures can be likened to a roving radar. You are vulnerable, hurt by the slightest aggression and easily influenced because you are unable to step back from people and events; therefore, you may start to be doubtful and lose the self-confidence that you so badly need to progress. You need to concentrate on a subject, Anne-Marie Lizin, to deepen your research and to follow your reasoning through with persistence and determination. You are the very type of the thinker who needs time and isolation to meditate at length and allow her serious, methodical and rigorous mind to show its worth. Your feet are firmly planted on the ground and to get your attention, ideas must be followed by implementation, for instance as in the case of mathematics applied to physics. You focus on the essential and you look at the world around you with clear-sightedness. You are not very talkative and you act with caution. You may come across as cold and ambitious even though your comments are always sincere and practical. However, be careful not to isolate yourself and to appear as a lofty and intolerant person. On the affective plane, Anne-Marie Lizin, you are open, straightforward, spontaneous and you make friends easily because your enthusiasm is expressed jovially, directly and is respectful of well-established moral values. In some cases, you may be opposed to your natal environment or to your family because of your taste for freedom, exoticism or all forms of independence and emancipation. Your feelings are burning and you often get carried away quickly. However, your ability to make friends easily is likely to favour some instability; in order words, faithfulness is not your top priority as long as you have not yet found your soul mate. Ideally, for you, life together must have some degree of mobility and include travels and fresh air. Within your relationship, you need to feel freedom and independence, which you need since your childhood. Under such conditions, harmony and faithfulness can be achieved. The ruler of the Ascendant, Anne-Marie Lizin, is Uranus. In the sign of Gemini, it endows you with flexibility and the capacity to undertake several things simultaneously, sometimes at the risk of spreading yourself too thing and getting discouraged. Your innate communication skills match your insatiable curiosity for people and for things. You are courageous and rational, Madam, but you need affection and tenderness in spite of what you say. You try constantly to be reasonable and to repress the sentimental weaknesses that come up once in a while. In general, there are few amorous encounters at the beginning of your life. With an aching heart, you will finally forsake your defences and you eventually experience a few rare exceptional encounters. Among them, you will meet with your soul mate, to whom you will dedicate all your time and your love with loyalty, faithfulness, a strong sense of duty and maximal efficiency. You will control your children’s education, inculcating in them the values of effort, patience, perseverance and social rules. You will teach them that the old saying applies to them too, that slow and steady wins the race. To be early is not to be on time… but their time will come! Anne-Marie Lizin, the way you take action is quite paradoxical: you carry out your business perfectly well when you are in a teamwork with collective goals, but you do so in your original and individualistic manner: this is your main peculiarity. Your concern is to express your originality and your specificity while remaining immersed in a human community. You are curt and not very flexible. You are inventive and you easily fight authority, just because its very principle runs counter to the sacred values of freedom, independence and, above all, the absence of constraint. Competition does not appeal to you. You prefer to be useful and to conquer new territories of the humanitarian or the intellectual type. On the sexual plane, you are also often original and surprising regarding your fantasies and your tastes. This text is only an excerpt from of Anne-Marie Lizin's portrait. We hope that it will arouse your curiosity, and that it will prompt you to deepen your knowledge of astrology, as well as to visit and use the wide range of free applications at www.astrotheme.com. Your Life Path is influenced by the Master Number 11, Anne-Marie, which indicates a strong, demanding, and uncompromising destiny. It is all about revelation and early calling. You feel that you are entrusted with a mission, with the certainty that no setback could endanger it, and your own certitudes prevail over any other motivation. You have a lot of strength, and sometime, intransigence. Short-lived fashions and life vagaries cannot weaken your beliefs. You pursue a set direction, in quest of an extraordinary destiny, with the help of your intelligence, your inspiration and the natural influence you have over people. Even though your entourage may not always understand your secret determination and perceive you mainly as an impatient person, your fortitude overcomes many a doubt and obstacle. You can sacrifice everything for the sake of your deep aspirations.